All students who have not previously taken out direct Loans are required to complete entrance counseling. 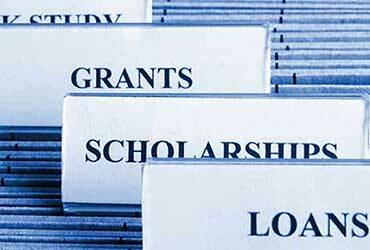 You must complete entrance counseling before your school can make the first disbursement of your loan. Exit counseling: All students who have received direct loan must complete exit counseling each time they drop below half-time enrollment, graduate or leave school. Exit counseling provides important information to prepare you to repay your federal direct loans. A Dependency Override occurs when a Student Finance Advisor exercises professional judgment and overrides the Department of Education’s criteria for dependent students. An override may only be granted on a case by case basis for students with unusual and exceptional circumstances. These circumstances must show compelling reason for a student to be considered independent rather than dependent. The decision is made final by the Director of Student Finance. I understand that by applying for and receiving financial aid my tuition and fee due date has been extended beyond the payment due date and that if I do not withdraw from the courses I will be responsible for the charges. I understand that I am obligated to pay in full to SOCHi the amount due for tuition/fees if I do not complete all appropriate paperwork, qualify for aid, or receive enough funding to cover all costs. This includes any remaining balances that are a result of withdrawing or canceling my classes. I understand that any Federal, State, Institutional or external source of financial aid, as well as any student fee refunds, will be applied to any outstanding balance on my account. I understand that non-attendance by itself does not relieve me of financial responsibility for the courses in which I am enrolled and I am responsible for properly dropping and/or withdrawing from courses that I do not plan to attend. I understand that my award is based on full-time continuous enrollment. I understand that if I have a credit balance after all charges are paid, I will receive the balance after 14 days. I understand that if I stop attending classes or withdraw completely before completing a minimum of 60% of the payment period, I will be required to repay all or a percentage of the financial aid received. I understand that financial aid is awarded contingent upon maintaining Satisfactory Academic Progress according to the policy outlined on SOCHi’s website. By accepting my financial aid awards, I hereby acknowledge that I have read, fully understand and agree to these conditions. I understand and agree to pay, the amount owed for tuition/fees, and all costs of collections including reasonable legal fees. Please see SOCHi’s complete SAP policy. Students who are eligible for more federal financial aid than the cost of their program of study will have an overage on their student account once the second disbursement is applied. A check will be issued to the student no later than 14 days after the disbursement occurs. Students may pick up their overage checks at the Student Finance Office. Federal and nonfederal student loans are funds that must be repaid, even if you experience financial difficulties. Therefore, when deciding whether to borrow, you should examine your need for assistance and your future ability to repay. The precise terms of the both federal and nonfederal loans are contained in the promissory notes that borrowers must sign. 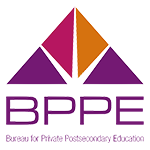 A deferment is a period during which repayment of the principal and interest of your loan is temporarily delayed. You are still responsible for paying the interest that accumulates during the deferment period, but your payment is not due during the deferment period. If you don’t pay the interest on your loan during deferment, it may be capitalized (added to your principal balance), and the amount you pay in the future will be even higher. 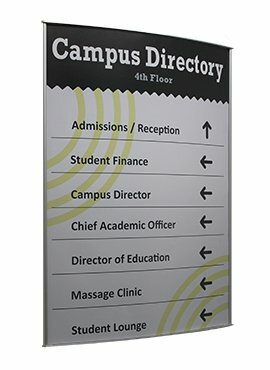 If a student drops or withdraws from a program at Southern California Health Institute before completion, tuition refunds will apply as follows: Students who withdraw from school or stop attending within the first five (5) days of scheduled classes will receive a full refund for tuition and fees. For refund calculations, there are two payment periods in each program; the first is from the first day of the program until the midpoint of the program, and the second payment period is from the midpoint of the program until the anticipated graduation day. Students who withdraw from the program prior to completing sixty percent (60%) of either the first or second payment period will be refunded on a pro rata basis. However, if a student withdraws from the institution after completing sixty percent (60%) or more of the first or the second payment period, no refund will be due them and the cost of either payment period will be the student’s responsibility. If a student attended 50% or more of the class(s) that he/she were scheduled to attend at the time of their withdrawal, the student will be charged for the full cost of the class(es). If a student does not return from an approved leave of absence, then the last date of attendance will be used as the withdrawal date. Also, if a student does not attend class for fourteen (14) consecutive days, on the 15th day of non-attendance the student will be unofficially withdrawn as of the last date attended. If a student has unofficially withdrawn and Southern California Health Institute does not become aware of this until records are checked at the end of a module, the withdrawal date will be determined within 30 calendar days of either the end of the first or second payment period, the end of the academic year, or else the end of the student’s educational program. 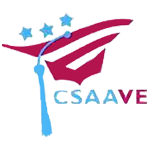 The term “Title IV Funds” refers to the federal financial aid programs authorized under the higher education act of 1965 (as amended) and the following programs: Unsubsidized Stafford Loans, Subsidized Stafford Loans, Federal Plus Loans, Federal PELL Grants, Academic Competitiveness Grants (ACG), National Smart Grants, and Federal Supplemental Educational Opportunity Grants (FSEOG). A student’s withdrawal date is the earlier of the date the student began the school’s withdrawal process (as described in the Southern California Health Institute catalog) or officially notified the Campus Director of intent to withdraw; or fourteen (14) consecutive days after a student ceases attending scheduled classes without notifying the school. Note: medical withdrawals and the return of Title IV funds – students who are granted medical withdrawal are treated in the same manner as students who withdraw from the institute. Students withdrawing from SOCHi by the close of business on the fifth (5th) day of the first module will receive a one hundred percent (100%) refund. Be aware of the issues affecting students and advocate their interests at the institutional, state, and federal levels. Provide services that do not discriminate on the basis of race, gender, ethnicity, sexual orientation, religion, disability, age, or economic status. Commit to the highest level of ethical behavior and refrain from conflict of interest or the perception thereof. 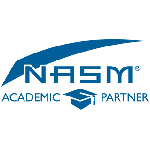 Maintain the highest level of professionalism, reflecting a commitment to the goals of the National Association of Student Financial Aid Administrators. Financial Aid Office personnel shall scrupulously abide by all laws pertaining to the application for, and processing of, all forms of student financial aid. Financial Aid Office personnel shall refrain from taking, assisting with or condoning any action intended to secure any personal benefit as a result of their official positions. Financial Aid Office personnel shall perform their duties in a manner that best serves the interests of the student or prospective student. Financial Aid Office personnel shall ensure that they provide accurate, factual and unbiased information regarding student financial aid to students, prospective students, parents and to any official agencies or organizations with whom the Financial Aid Office interacts in the course and scope of their duties. Financial Aid Office personnel shall refrain from accepting any gift, gratuity, favor or any other inducement from any person, agency or entity involved in the application for, processing of, awarding of or distribution of any form of student financial aid. Southern California Health Institute’s authorization to participate in various student financial aid programs depends upon strict adherence to all laws, regulations and policies. Because of this, Southern California Health Institute maintains a zero-tolerance policy regarding violations of laws, regulations, ethical principles and institutional guidelines relating to student financial aid. Violation of these ethical principles and guidelines is grounds for termination of employment with Southern California Health Institute. NASFAA = National Association of Student Financial Aid Administrators. For more information, consult the NASFAA website: www.nasfaa.org. Constitution Day is a time to commemorate the September 17, 1787 signing of the United States Constitution. Constitution Day is observed each year on September17th, although SOCHi may offer events and activities to celebrate the day throughout the week in which the date falls. The purpose of this week is to encourage the SOCHi community to continue learning and appreciating this living document which, despite its birth over 200 years ago, still plays an integral role in our everyday lives. Constitution Day provides an opportunity to reflect on our government, our liberties, and our obligations as citizens in this democracy. There are situations where students and/or parents willfully falsify or misrepresent information for the purpose of obtaining financial aid that a student is not eligible for. 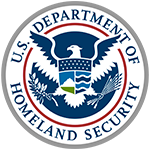 As administrators of Title IV programs and funds, the College is obligated to ensure processes are in place to protect against fraud by applicants or staff. The Financial Aid Services Office is required to have a policy of referral when confronted with actual or suspected cases of fraud and abuse [34 CFR 668.53(a)(5), 668.14(g)]. Want to learn more about SOCHi’s programs? 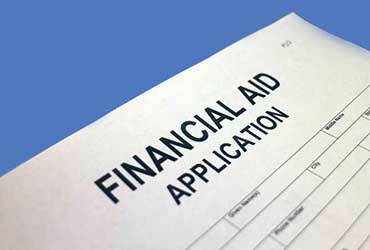 Applying for Financial Aid does not need to be stressful. The first step is completing your FAFSA. Students are offered, when eliligible, a combination of several types of aid. These may include federal grants, federal and loans, Veteran Affairs.